Katsushika Hokusai born in October 1760, was a Japanese painter and printmaker. He is most famous for his series of prints called “Thirty-Six Views of Mount Fuji”. His most famous piece among these is The Great Wave Off Kanagawa. Hokusai’s seemingly timeless images are almost 200 years old. 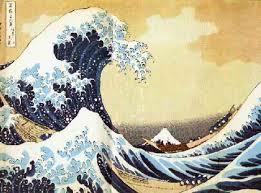 Hokusai was born in Edo (now called Tokyo), Japan. In 1778, he was apprenticed at the art studio of Katsukawa Shunsho. During his life, Hokusai produced tens of thousands of prints, paintings, and illustrations. 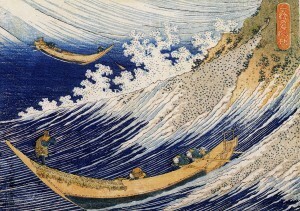 Hokusai’s images were usually taken from the Japanese countryside, its people and its legends.